We’re back with another excellent Movie Gallery giveaway! Last week we featured one of our favorite all time horror/comedies with our Army of Darkness Giveaway. 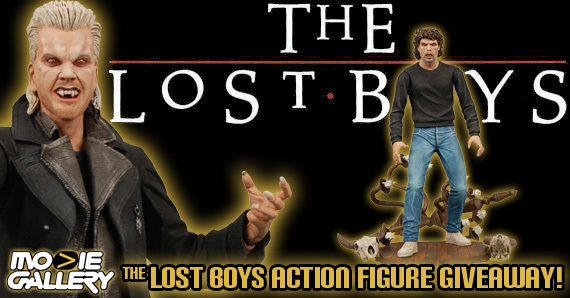 This week we’re giving away two action figures from another great cult classic horror/comedy, Lost Boys! The Lost Boys tells the story of Michael and Sam, two brothers who move to a California beach town that they discover is infested with a gang of vampires led by David. Michael falls in with the bloodsucking creeps but eventually has to choose between his old family and his new brethren. Read on to learn how you can win a pair of David and Michael action figures — you can recreate their final memorable living-room battle scene in the comfort of your own home! “Sleep all day. Party all night. Never grow old. It’s fun to be a vampire.” The Cult Classics line features your favorite heroes and villains from classic horror, sci-fi, and action movies. 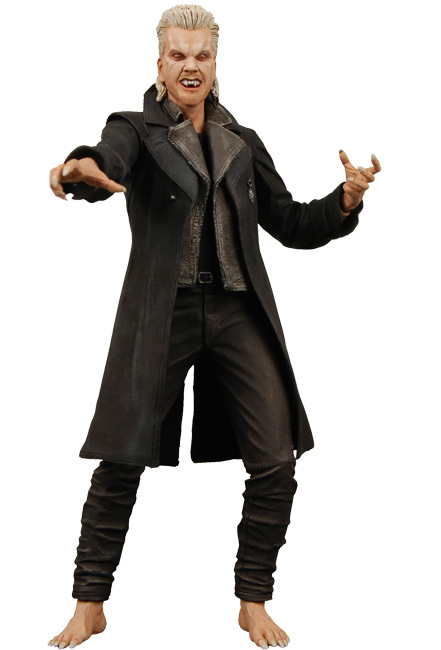 This 7″ Michael figure comes from the iconic 1980s vampire flick The Lost Boys. The new-in-town Michael is easily lured into a vampire cult and must rely on his brother and friends to save him. Includes alternate head and hands (for that beastly look) plus skull accessories and a diorama display base. The charismatic leader of a California motorcycle gang, he delights in luring innocents into the vampiric life. 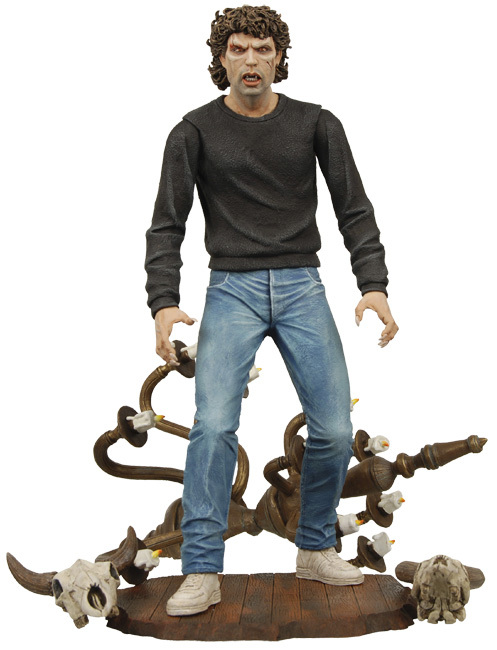 This 7″ action figure includes alternate head, hands and feet plus a blood bottle. This entry was posted in Contests & Giveaways, The MG Blog and tagged action figures, giveaways, The Lost Boys by mgadmin. Bookmark the permalink.